Before recycling your aluminum food containers it is especially helpful to empty, rinse and drain each container. For example, aluminum beverage cans should be emptied and rinsed before being placed into recycling containers. Food and beverages left inside the containers will contaminate the recycling facilities. Kenton County Recycling — Lincoln Ridge Park, the first Saturday of every month is Open Dump. The first Saturday of each month Kenton County Public Works host a recycling event for large and misc. items. Hazardous waste is not accepted. During the summer Boone County will host cleanup days on the last Saturday of each month. No hazardous items or paint will be accepted. Proof of residency must be shown. The event is located on Maplewood Dr. at the Boone County Public Works facility. Recycling is important to Northern Kentucky because it reduces the need to find new land for landfills and dumps. By recycling we do lessen the impact on our current landfills. The current landfills used by our local waste companies are filling fast and no one wants to live next to a new landfill or dump. Inevitably, someone will but by recycling we can defer that process well into the future. With new technologies we can hope to repurpose waste in the current landfills and extend their useful life even longer. Recycling can reduce and prevent new pollution from the manufacturing process. Recycling takes less effort, energy and resources to reprocess materials than to create again from raw materials. 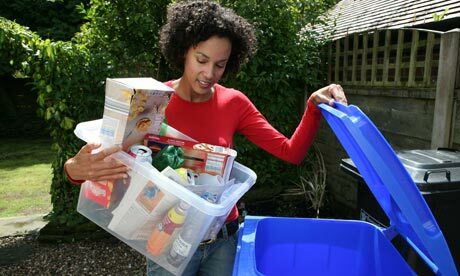 Recycling can save enormous amounts of energy by repurposing “trash” for like or similar items. For example, energy can be saved by recycling aluminum cans back into aluminum cans as opposed to starting the process from the beginning with the exploration and refining of aluminum ore.
By using the example above we can see that beverage companies can benefit greatly by using recycled aluminum. Using recycled cans for their aluminum eliminates many of the processes to remove the ore from the earth. By cutting these costs in the manufacturing process they are also able to keep their product prices lower and leave us with a sustainable future. Recycling leads to sustainability. As the industrialized world and population centers grow so does the demand for modern products. Recycling will allow us to sustain our resources for future generations. Sustainability is the key to our children’s future. Recycling is financially smart. You can get paid for your trash. There are many companies in Northern Kentucky that will pay you for your recyclables. You can easily recycle aluminum cans, steel, copper, or glass to name a few for cash.